DO-94460-97 was succesfully added to your cart. 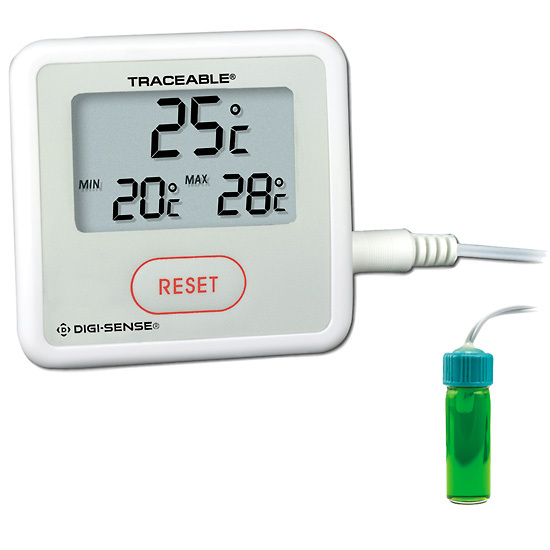 Models 94460-96 and -97 are supplied with a 5-mL bottle probe specifically designed to fit into a tray. The temperature sensor is enclosed in a bottle, which protects it from rapid temperature changes when refrigerator door is opened. Does this require calibration at regular intervals? Calibration is not required unless the readings are incorrect; however we recommend a recalibration each year. Other, application-specific, calibration intervals can be set by auditors and regulatory oversight.